In this episode Bob flies solo, taking on the popular idea–embodied in a TV clip by Tucker Carlson but also Bernie Sanders’ “Stop BEZOS’ Act”–that Amazon, Walmart, and other giant employers offload some of their labor costs onto the taxpayers through the food stamp and similar programs. Bob actually argues that, if anything, these federal programs probably lead Bezos et al. to pay higher hourly wages to workers, especially those in unpleasant jobs. Tucker Carlson’s TV spot condemning Bezos. Amazon’s deal with the CIA and potential deal with the Pentagon. Bob’s article at The Beacon critiquing Tucker Carlson / Bernie Sanders’ logic. Bob’s new book, Contra Krugman: Smashing the Errors of America’s Most Famous Keynesian. ADDED 11/13/2018: Casey Mulligan’s Mercatus paper detailing labor disincentives in Affordable Care Act (specifically the 3rd item). Hi Bob — big fan of yours and congrats on the new podcast. If, say, a government had some socially conscious scheme for issuing “author vouchers” to vulnerable online booksellers who dropped below a certain profit margin (these vouchers can be exchanged for cash by government approved writers! ), are you saying that the price of books would *increase* in a competitive market? Why couldn’t we expect this benefit to be somewhat passed on to booklovers (opposite to the way that a profit tax or tariff might be) — or is my rather contrived analogy wrong? Thanks for the kind words. I agree with you, that if the government sent checks out to (some) authors in general, that that would lower book prices because it would draw some people into being authors who otherwise would do something else. Thus more books would be produced per year. But one difference in your analogy is this: The government isn’t sending foodstamps out to people if they work at Amazon. If that *were* the policy, then yes, the government would be explicitly subsidizing Amazon employees, and we would expect the average wage of an Amazon employee to fall–and Bezos could thank Uncle Sam for making workers more willing to work at Amazon. But that’s not how the program works. You get food stamps if you earn below a certain income, not if you work for Amazon. As I said in the podcast, if anything this approach makes workers insist on a *higher* hourly wage rate if they are going to work for Amazon. One last way to see the difference: Your hypothetical program increases the number of authors. But if the government sends out foodstamps, that doesn’t increase the number of workers. In anything it reduces how much people are willing to work. Cheers for the reply since I’m sure you’re busy! I’m sure it’s not perfect but if subsidising workers with food vouchers can increase the cost of labour to employers, then would my subsidy to poor online booksellers potentially increase the cost of their services to customers? Because intuitively, I image the opposite. I guess my broader point was supposed to be: if (as economists tell us) the burden of taxes cannot be targeted to hit one side of a transaction only, then how can the benefit of subsidy be apparently confined like that? If the food stamp system was changed such that they got *quite literally put into the hands* of people like Mr Bezos for employing low-wage staff, and anyone gasped, presumably economists would be rolling their eyes and telling us that this changes absolutely nothing. But would they further complain if someone suggested that Mr Bezos might just be benefiting from this (or that use of low wage labour was being encouraged) and confidently assure us that, to the contrary, he’s probably losing out! I (think) I understood your analogy, but I was trying to explain why it wasn’t the same situation. Even after your clarification, I don’t think it is. In order to be eligible to get the government subsidy to online booksellers, don’t you have to actually be engaged in online booksales? Or could every single person in the country receive the subsidy, even if he or she had nothing to do with online book sales? I’m assuming you have in mind a program where you actually have to be selling books to people online to be eligible, and the government is subsidizing that activity. In contrast, the government isn’t subsidizing you FOR WORKING AT AMAZON. Whether you work at Amazon or quit, you are still eligible for food stamps. Far from paying you to work for Bezos, if anything the government is paying you to quit your Amazon job. Yes, I was not sure if I had explained myself badly or misunderstood the reply. Probably both, but now it has dawned on me that I just didn’t understand the situation being discussed in the first place! I thought you were saying in the podcast that the financial benefits of the food stamps could not be somewhat absorbed by employers via competition and this surprised me because it seemed just like they were the reverse of an income tax. However, from what you say it sounds like people get the stamps even if they do not work whereas I misunderstood them as an in-work-only benefit that increased with salary but by a progressively decreasing increment or something like that. Presumably instead they just taper off as you start to work so I suppose the incentive is closer to an income tax rather than being the reverse. Employers might need to cover some of the lost benefit just to encourage people to work (in the same way they might absorb an employee income tax partially). I can sleep easily now. Anyway thanks for your time and patience! I generally agree with you, Bob (re: your books, podcasts, talks, and other people’s podcasts you appear on), but I think you’re arguing the wrong point on this one. Tucker Carlson wasn’t saying that Amazon pays their workers low wages BECAUSE they’re receiving food stamps from the government; he was saying that Amazon workers receive food stamps BECAUSE Amazon pays them such low wages (or rather, the wages that are commensurate with their productivity to Amazon; how they choose to manage their income is their own affair) and therefore qualify to receive food stamps from the government. Although in reality, these workers simply aren’t prioritizing food first (in their monthly budget or whatever) and are choosing to spend their income on other things which doesn’t leave funds leftover for food, so they’re choosing to take the [arguably very tempting] free handouts from the government. 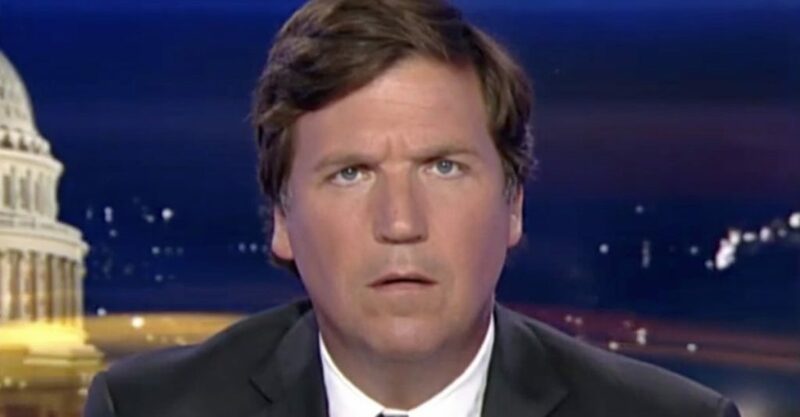 If any comment Tucker Carlson (ostensibly a fiscal “conservative”) should’ve made, it should’ve been that the Amazon employees who are choosing to budget their income in such a way that they can’t afford food and are therefore receiving government food stamps just need to be more savvy about how they manage the money that they ARE receiving from Amazon so that taxpayers don’t have to pay for their food. He should’ve straight-up called them out! He should’ve made an example out of them and used it as a teaching moment. Instead, he just used a red herring fallacy in pointing out how rich Jeff Bezos is. So weak… what an idiot.